A dental crown is a covering that encases the entire tooth surface restoring it to its original shape and size and protecting the underlying tooth structure. 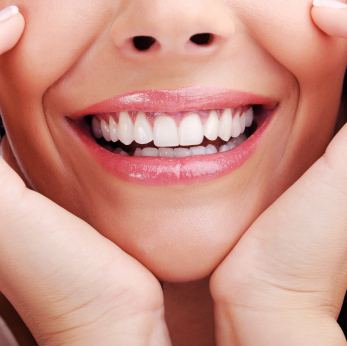 A crown protects and strengthens teeth that cannot be restored with fillings or other types of restorations. The most common reason for receiving a crown is if the tooth has had extensive damage, has a crack or fracture in it, is susceptible to fracturing due to a large existing filling, or if it has received root canal treatment. Root canal treatment will typically cause a tooth to become brittle and be susceptible to fracturing. A crown will prevent this from occurring. Protecting a tooth at risk of fracture due to a large existing filling fractured fillings. Protecting a tooth that has had a root canal. Although there are several types of crowns, all porcelain crowns are the most popular because they resemble your natural teeth and don’t have the potential to show any metal lines which can produce a grey line at the gums. In the past, a crown or cap was typically made of porcelain fused to metal or even gold. All Porcelain: The all porcelain crowns also don’t carry the risk of the porcelain fracturing away from an underlying metal crown the way a porcelain fused to metal crown can. They are highly durable and will last many years, but like all dental restorations, they may eventually need to be replaced. Porcelain crowns are made to match the shape, size, and color or your existing teeth giving you a natural, long-lasting beautiful smile. Your first appointment will include the doctor preparing the tooth for a crown, then taking a very accurate impression or mold of the tooth and the opposing teeth. These will be used to create your custom crown at the laboratory. A mold will also be used to create a temporary crown which will stay on your tooth for approximately 10-14 weeks while the new crown is fabricated by the dental laboratory. After the tooth has been anesthetized we will prepare the tooth by removing any decay and shaping the surface of the tooth so a crown can be fabricated. Once this is accomplished a temporary tooth colored crown will be placed with temporary cement on the tooth, and your bite will be checked to ensure you are biting properly. At your second appointment the temporary crown will be removed, the tooth will be cleaned, and your new crown will be carefully placed to ensure the spacing and bite are accurate. When all of these parameters have been met the crown will be cemented with permanent cement. As always, we will provide you with instructions on how to care for your new dental restoration and you will be encouraged to have regular dental visits to check your new crown. Do you have questions about crowns, or are you ready to schedule an appointment? Call us today at (510) 883-3454, and we would be happy to answer your questions.